Prominent & Leading Manufacturer from Raigad, we offer modular prefabricated control room and prefabricated steel control room. 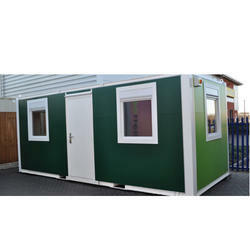 As a reliable manufacturer and trader, we have been able to offer the premium quality of Modular Prefabricated Control Room. 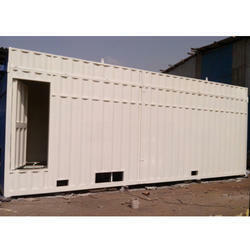 Due to its easy assembly and portability, the rendered prefab control room is highly demanded in various remote areas. By following total quality assurance procedures, we assure that the premium quality of the rendered prefab control room is never compromised. Respected as a reliable manufacturer, supplier, and trader, we offer the premium quality of Prefabricated Steel Control Room. The rendered prefabricated control panel cabin is known for its easy assembly and di-assembly. In addition to this, the rendered prefabricated control panel cabin is appreciated for its weatherproof construction.